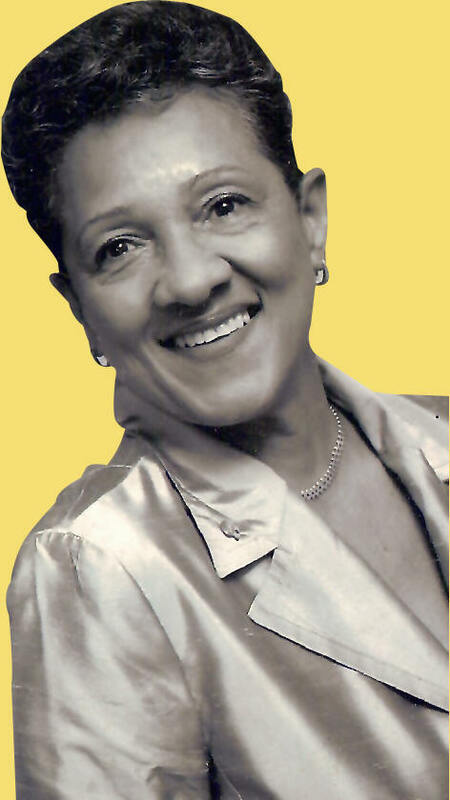 Paulette Bellamy née Case began piano studies at four years old with her mother, Mrs. Linnette Case, a renowned music teacher who also taught another four-year-old student: Carol Gascoigne-Smith. The girls began performing together in public and on radio at seven years old. At age 10, they went to violin lessons with Miss Doris Livingston who took them up to the diploma level. They performed extensively as “the musical twins” whether as a piano duo or as a piano/violin combination, a partnership that still exists today. Both also received guidance from Mrs. Rita Coore who specialized in tutoring advanced piano students. As a student at Wolmer’s Girls’ School, Paulette was an active participant in the school’s annual musical and theatrical presentations. Paulette added Music to her academic curriculum and was privately entered by her mother in the Senior Cambridge Certificate (London) and the Higher Schools Certificate (London) exams, gaining distinctions in both and thereby broadening her musical understanding and interest in orchestration, composition, and arranging. 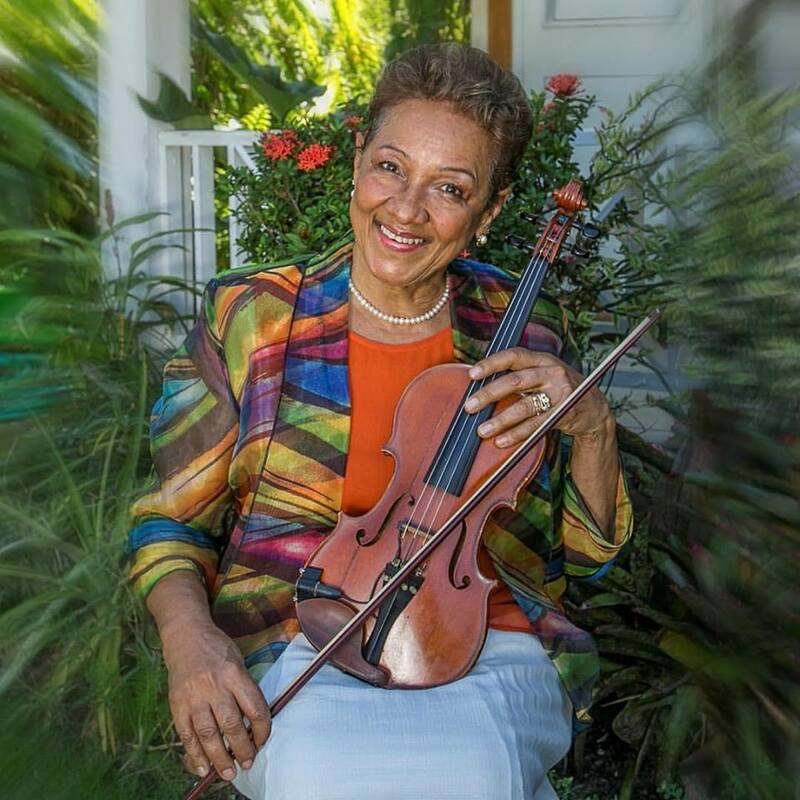 At age 15, Paulette was invited to join the Jamaica Philharmonic Symphony Orchestra conducted by Mr. Sibthorpe Beckett, and later won the Orchestra’s scholarship to continue violin studies with Miss Doris Livingston. This orchestral experience proved invaluable in honing her orchestration skills. At the University of the West Indies, Paulette’s academic studies included Music in her first year under the tutelage of Mr. Tom Murray with emphasis on instrumentation, score reading, and musical analysis. A Feast of Music - produced annually by the Meadowbrook United Church; Paulette has directed and performed in this annual fund-raising event since its inception in 1981, featuring an impressive appearance by young performers every year. A high standard has been maintained for the 35 years of the staging of this event, exposing audiences to music of all genres. After this hectic touring and sharing of the nuts and bolts of choral work and composition with the members, Paulette felt confident in passing on the baton to Conroy Wilson, Michael Holgate, Michael Harris, Roslyn Williams, and Sharee McDonald-Russell whose enthusiasm over the years indicated their potential to carry on successfully. Paulette primarily plays violin in this acclaimed instrumental ensemble which has performed island-wide, as well as in the USA and Canada, including the 2006 Great Luncheon Concert at the Crowne Plaza Hotel in Toronto for the Wolmer’s Alumni Association, and a Fund-Raising Concert for the University of the West Indies in Toronto. Performances at annual diplomatic dinners hosted by the Governor General at King’s House. (1) The Philharmonic Orchestra of Jamaica (POJ) Paulette composed music for POJ’s repertoire (2014 to 2016). In 2016, “Coconut Woman”, “Jackass a Jump an’ Bray”, “Daylight at Solas Market” and “Waterfalls and Pebbles” were added to the repertoire. She currently also plays violin in the orchestra. The NYOJ has played several of Paulette’s arrangements, and she currently helps the enthusiastic members weekly with their repertoire. For a European Union event in 2016, NYOJ performed a medley typifying the music of each member country. Recently played Paulette’s “Daylight at Solas Market” having added several of her compositions to their repertoire. Husband Barry, three children - Nikki (Colby Sims), Dario (Jeanine Graham), Rishille (Sandro Pelicié) andeight grandchildren (Tanner, Sydney, Kendall, Leana, Kacey, Hayley, Bella Mae, and Arabel). 2007 - Ward Theatre Foundation Award. In recognition of her valuable contribution to the theatre’s rehabilitation. 2008 - Feast of Music Anniversary Award. In recognition of her outstanding contribution and support. 2009 - Vaz Preparatory School. In recognition of her contribution to the development of music in Jamaica. 2016 - Diocesan Festival Choir Hall of Fame. In recognition of her outstanding contribution to nation- building through music.